Understand the basics of computers and operating systems. Communicate and teach effectively through PowerPoint presentations. Use web tools in the classroom. Create effective lesson plans that integrate technology. Integrate technology into the curriculum. Understand the current scenario in educational technology today. Envision using a blog to facilitate learning. Envision using a wiki to facilitate learning. Envision using Twitter for learning in the classroom. Envision using Google docs, and Google earth to facilitate learning. Integrate various audio and video tools in the classroom. Enable students to develop digital learning skills. Enable students to take up different roles in the process of digital learning. Understand and implement ethical use of technology. Understand concepts of digital literacy, informational literacy, visual literacy, global literacy and network literacy. Help students learn to use technology effectively to learn, communicate and experiment. Understand how cyberbullying occurs on the internet. Understand how predators find, contact and develop relationships with children on the internet. Monitor and control internet use in order to protect students. Understand how cellphone use can be unsafe, and teach safe practices to children. Teach students to stay safe from phishing. Teach students safe use of the internet. This is a good overview of technology in the classroom. I work a lot with technology and students, so I feel like I have more knowledge in this area and therefore the information was not new to me. But, this is very informative and would be great for most people. I cannot wait to apply some of this technology in the classroom. Easy to use I work in a high tech. school so a lot was review, but much was good I had an understanding of google classroom for example but didn't exactly know how to define what a wiki is etc. It's helping me get my CE credits in line after taking a few years off for my family. Thank you! This course was more useful than I thought it would be during the introduction. Having used technology in my classroom for the past 20 years, I was somewhat insulted by the first section of the course. I do not need convincing that technology is an essential tool to enrich student learning opportunities. Most of the content has already been used in my classroom, however, there were some areas that I have not done much with, and this interested me. I think that additional courses offered on specific topics would greatly enhance professional development. The most helpful part of the course were the links offered. "I learned so many new sites in this class. I had know idea how many different social networking sites were out there." 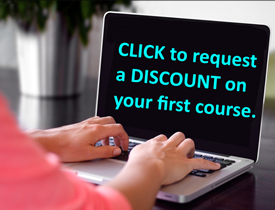 "This online course was so full of information. I was a little overwhelmed with it at first. I am not very informative about all the technology choices that are out there to use in the classroom. Now, all I keep thinking about is how am I going to learn them and use them =)"
"This course motivates me to have a mindset of the 21st century teacher." Great course with a lot of ""real world"" resources for protecting children & reporting online criminals. I appreciate the combination of videos and readings. I enjoyed learning about the Exif data on pictures, did not know about that. I also plan on going back through to visit the websites that were recommended. Thank you for the information to make me more aware as a parent and teacher.